The Big Bang Theory is a comedy centred around a group of scientists. It’s more fun than it sounds and it provides a geekiness I find attractive. 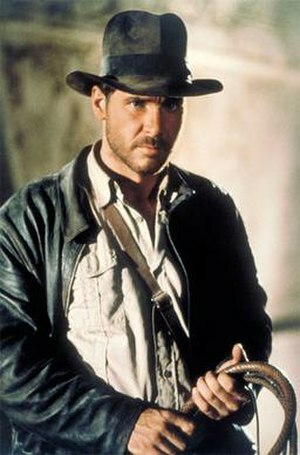 Last week’s episode kicked off with Raiders of the Lost Ark being ruined for one of the characters by his girlfriend pointing out that Indiana Jones has no impact on the outcome of the film. It was a good film, but Indiana didn’t add much to it. In the absence of Doctor Jones the following would still happen. Ark is found by Nazis. Nazis open the Ark. Ark destroys Nazis. This wonderful and counterintuitive insight that the hero of one of all time classic movie adventures makes no difference to the actual outcome of the entire movie is worth us all reflecting upon. We follow Jones through a series of adventures, witness him evade death from giant boulders, make charismatic one liners and seemingly drive the whole plot of the movie. Except he is really having his own adventure that isn’t impacting the overall big picture that much at all. It made me reflect on those days at work when I’ve felt that I have won every battle, vanquished every foe, dramatically avoided the traps set for me around the workplace and been every inch the hero. Then I went home for tea. Did anything actually change due to your incredible efforts to get that person in the project meeting to agree they may have failed to review action point 3.1.2 from last week’s meeting? If you were off sick on any given day how much would the destiny of your company have been altered? Are there people in your office being held up as heroes due to their charisma and dramatic interventions rather than their results? Did someone save the last project you were on quietly and without anyone noticing? Do you have the right role models? Or do you look at an individual’s style rather than substance? As stories go, one in which Nazis find the ark, open the ark and get destroyed evokes little more than schadenfreude. Whether or not Henry Jones Jr actually influences the eventual outcome of the plotline is in some respects irrelevant. What he does do is give the story a heart and humanity. Modern corporate narratives might be similarly unaffected by the efforts (heroic or otherwise) of the people who work in them. If we stop imbuing those efforts with heart and humanity we’ve really lost the plot. So maybe the story isn’t the plot? 1) Leave the dominant logic unchanged but work our way through the machine with heart and humanity bringing truth and beauty where we can. 2) Determine to write a new story with heart and humanity at its core and act to radically alter the stage on which that story plays out. Are you suggesting some kind of, I don’t know, last crusade?